We sell single pieces of rough Botswana Agate as well as larger 1KG bags containing around 20-30 pieces. We sell single pieces of rough Botswana Agate as well as larger 1KG bags containing around 5-10 pieces. 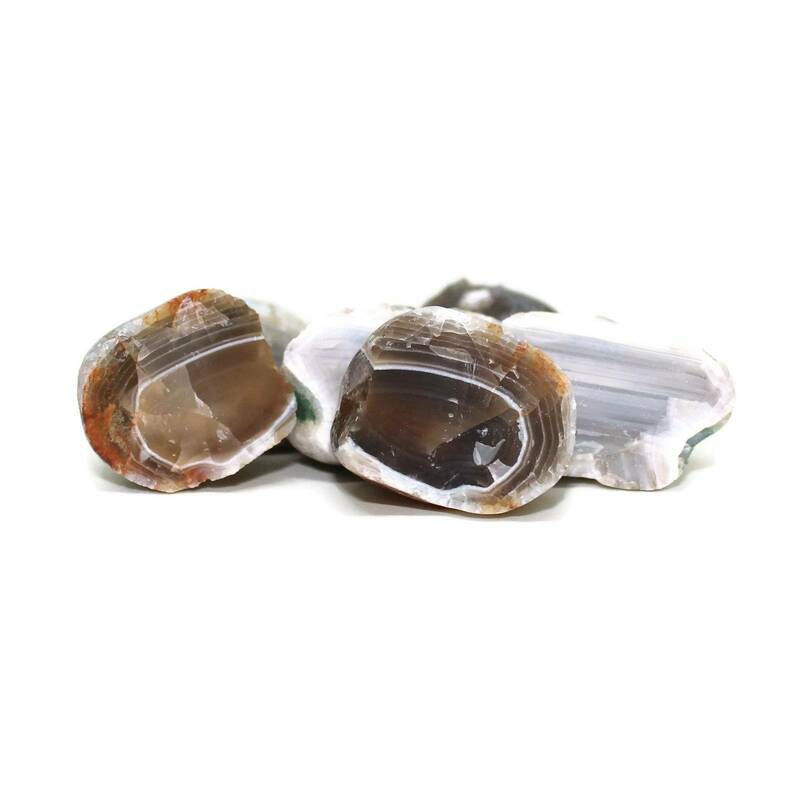 These pieces are good as collectors pieces – Botswana Agate is not often found rough. 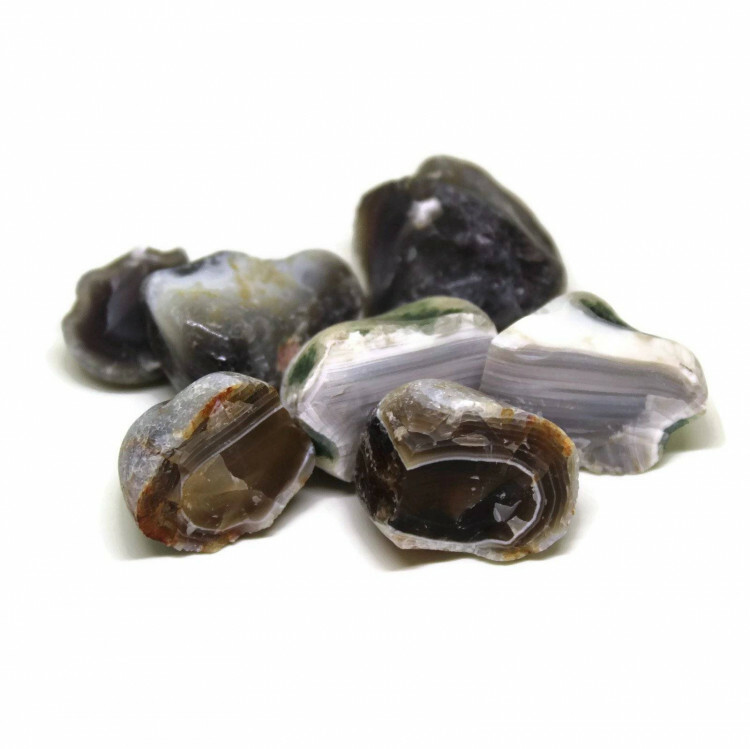 The larger bags of 1 kilogram are perfect for rock tumblers and rock tumbling, too. Any larger pieces may be suitable for lapidary and carving purposes, too. Because these are rough pieces, we cannot guarantee the sizes or quality of the pieces involved. A kilogram bag may contain 5-10 pieces, or up to 50 or 60 pieces! 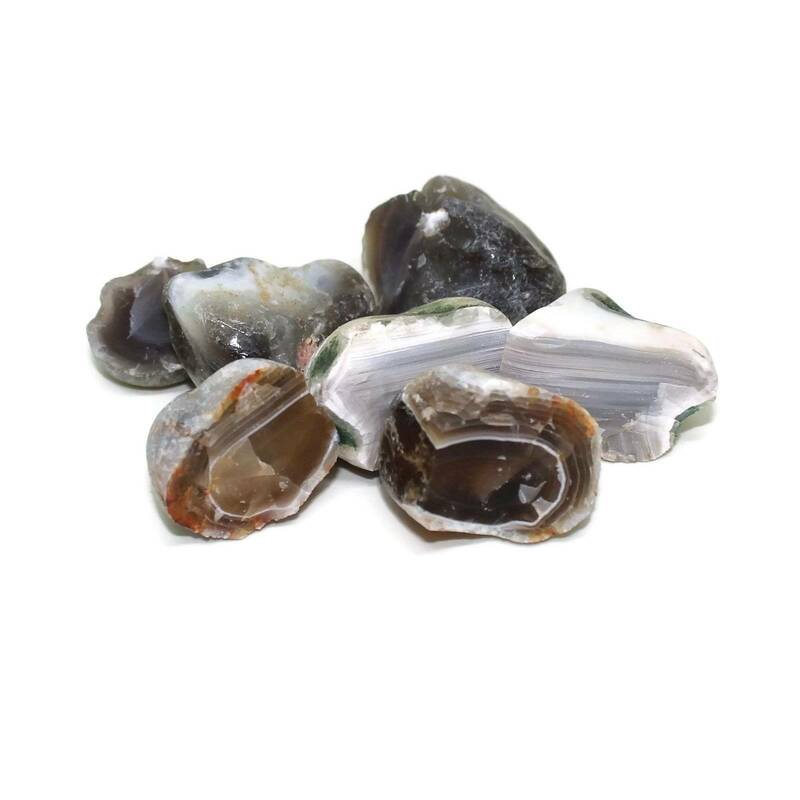 For more information about Botswana Agate, and a full list of all of our related products, have a look at our ‘Botswana Agate’ page.